Students who are from countries outside of the EU will need to get a Spanish residence card or TIE. TIE stands for tarjeta de extranjero, which translates to a “foreigner’s card.” The TIE is different from the NIE, but they’re closely related. The NIE, or numero de identitdad de extranjeros, is your personal identification number in Spain. The TIE is an official residence card, which will have your NIE number printed on it! Not every student who attends a language academy in Spain will need to get a TIE. Keep reading to how to get the TIE and who needs it. Don’t need a TIE? Learn how to get your NIE here. From the moment of your arrival in Spain, you have 30 days to book an appointment for your TIE. Who Needs to Get a TIE in Spain? 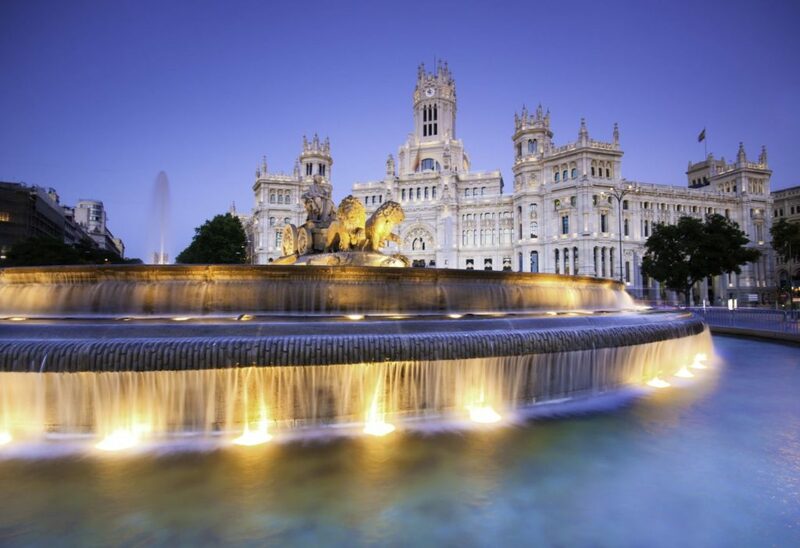 Spain has some of the most beautiful government offices, which you’ll need to visit to do your TIE paperwork! Proof of appointment: Some cities have security guards outside the foreigner’s office to double-check that you have an appointment. Print out a quick sheet that confirms the date, time and location of your Spanish residence card appointment to show upon entry. The TIE application form, the EX-17: Print and fill out this form with your personal details. There are versions in English available online but make sure you take a Spanish version to your appointment. Acceptance Letter of a Spanish language school, university or school: Take your original acceptance letter (also called Certificate of Admissions or proof of enrollment). The Acceptance Letter shows your registration, type of course, study dates and it’s a proof that you’ve paid your study fees. Proof of payment (Modelo 790-012): These forms will show you’ve paid for your Spanish residence card/TIE. Print them out, take them to any bank, pay in cash and they will hand you back the receipts you need to take to your appointment. Certificado de Empadronamiento or certificate of residency: To get your Spanish residence card/TIE, you first need to register your residence at your local city hall. Passport and two photocopies of your photo page: Some Spanish foreigner offices also ask for proof of your arrival date in Spain. Make a photocopy of the Spanish or EU stamp of arrival from your passport or show a used plane ticket. After your paperwork is checked and your fingerprints are taken, that’s it! The Extranjeria official should then tell you when and where you can pick up your Spanish residence card, or TIE. You’re all set and registered! Cheers!